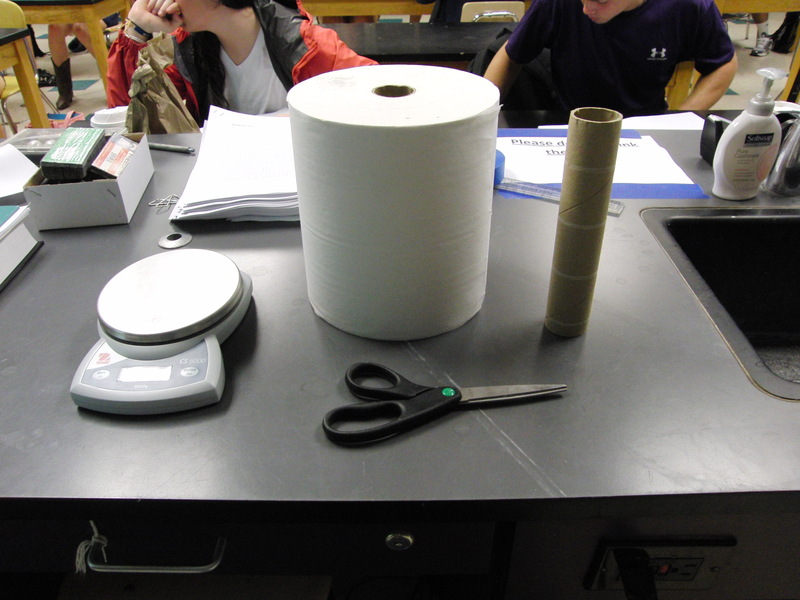 This entry was posted in Uncategorized and tagged inquiry, lab, physics, problem solving, teaching. Bookmark the permalink. Very cool! How long did this take? It took 2 days. The first day was setting up the problem in their notebooks, having students write up a brief proposal as to what data they wanted to collect and why, taking data, and collecting predictions from all the groups. 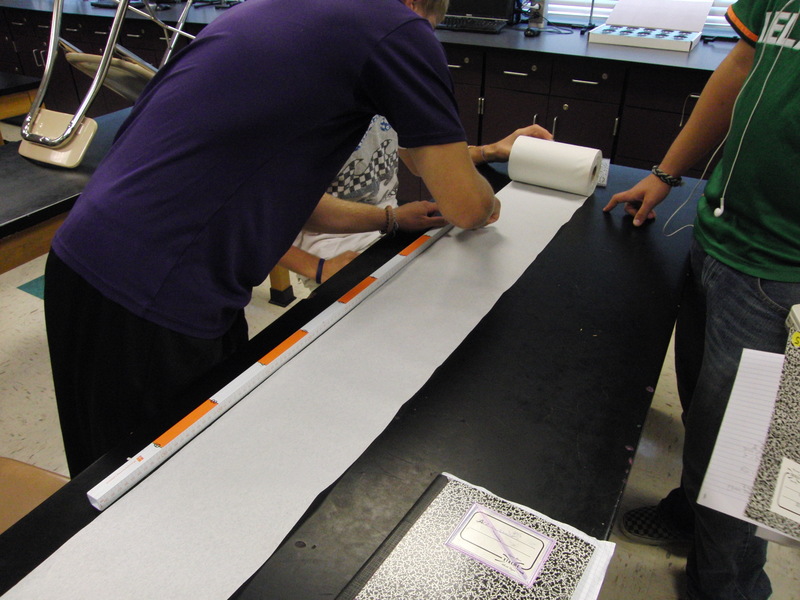 Some groups massed the same length (though not the same piece of towel) several times, some groups massed several different lengths, while others just massed one length of paper towel. 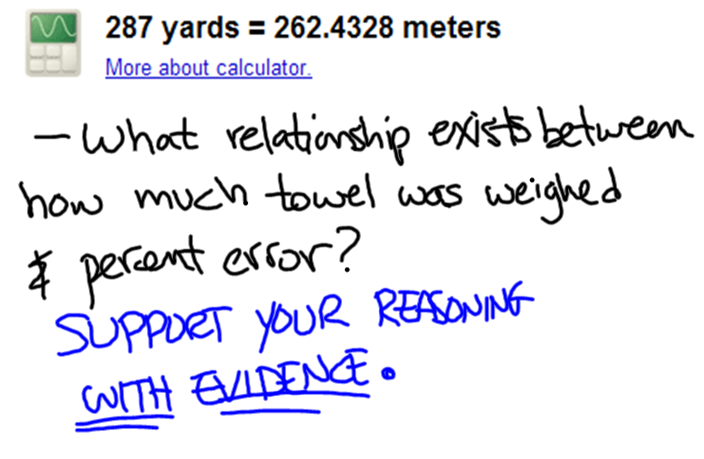 The second day involved 15 minutes walking to the football field and back, 10 minutes to unroll and clean up, and the remaining 15 minutes to compute percent errors and explain what relationship (if any) existed between how far off predictions were and how much paper towel was massed. It wasn’t the most challenging activity, but I wanted to build a class culture where students’ questions are valued and explored. 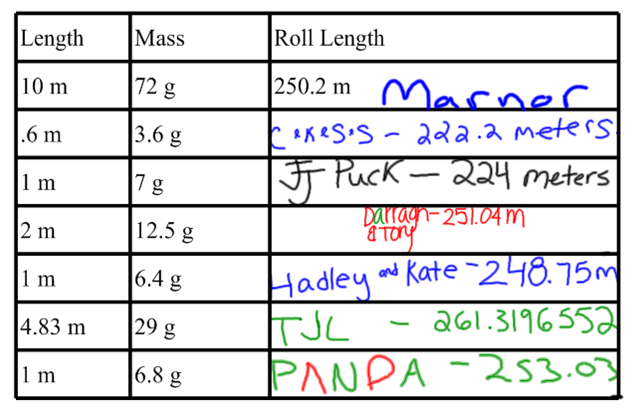 If this had been my calc-based physics class, we would have predicted the length using calculus as well. I am proud. Nice work.